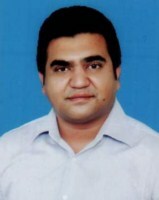 Mian Naveed Ali son of Mr Ahmad Ali was born on June 14, 1987 at Rahim Yar Khan and graduated in 2007 from The Islamia University of Bahawalpur, Rahim Yar Khan. He has served as Executive Member, Rahim Yar Khan Chamber of Commerce & Industry. A businessman, who has been re-elected second time as Member, Provincial Assembly of the Punjab in general elections 2018. He has functioned as Parliamentary Secretary for Labour & Human Resources from 2013-18. He has visited to Thailand, Saudi Arabia and Malaysia.